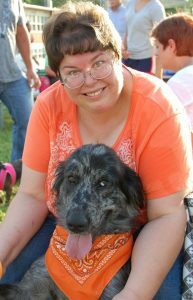 When Ronea Diekemper was down with a cold, her four-legged nursemaid – a rescued Australian shepherd mix named Gideon – bounded over to her bedside every time she coughed. Sensing his master was in trouble, the 80-pound pooch began barking and howling at the top of his lungs. The racket prompted a woman in a nearby apartment to check on Ronea – an act that likely saved her life. As does his new life with Ronea. Rescued by BAHS from St. Clair County Animal Control last spring, Gideon tested heartworm positive and had to undergo treatment to save his life. A BAHS volunteer, Ronea offered to foster the dog, bringing him home to convalesce. “I suffer from PTSD, depression and major anxiety disorder,” Ronea explained, “and my therapist suggested I volunteer at the shelter as part of my therapy. It’s hard for me to trust people. But not animals. I’ve always loved animals. Though her apartment complex doesn’t allow dogs, an exception was made for Gideon, who presently is taking classes to earn service dog certification. “He makes me feel better just being around him,” she said, proudly patting his furry grey head. Ronea Diekemper poses with her hero, Gideon. 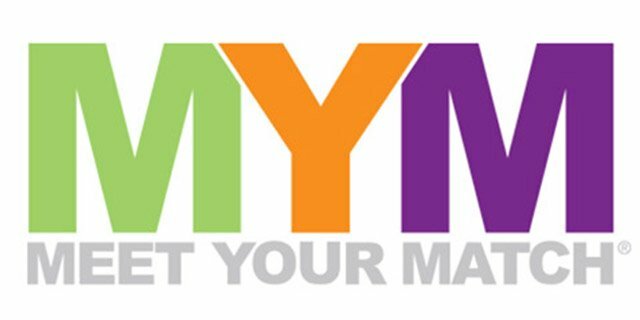 Click MYM to find your new pet! Zoonosis Training presented by Lollypop Farm, Humane Society of Greater Rochester.